The i-See ED, our Enhanced Definition Model offers the user a truly stunning picture quality combined with superb functionality, adjustable settings and stylish ergonomic design that can be adjusted to suit the individual’s specific requirements. 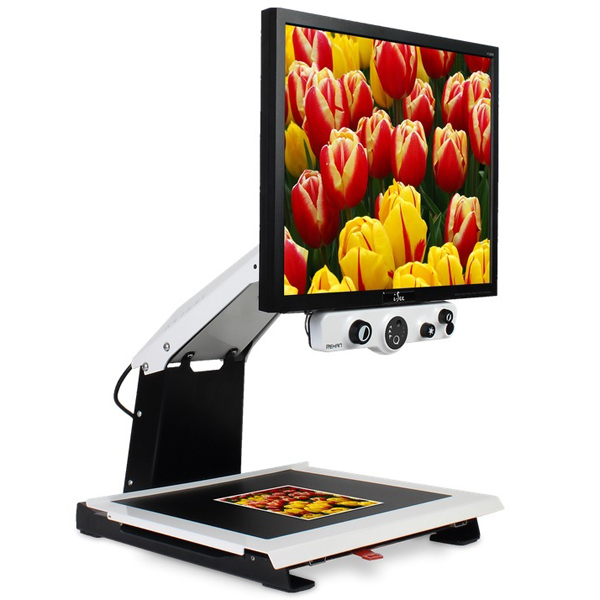 This unique magnifier is designed to work with 19” and 22” widescreen TFT panels. For comfort and convenience users have the choice to mount the Remote Control to the TFT or by simply pressing the quick release button they can put it on the table beside the device. The i-See can be fully adjusted to the personal needs of the end user.